Our Emerging Talent Radio playlist includes the cream of the crop from our thousands of MuzicNotez tracks. This features musicians from all over the world and in all genres. Instead of listening to the same old artists, find the unsung heroes and hidden gems that we have to offer. Ad free, mobile friendly, and you can search through to find what suites you just like listening to your own personal mp3 player. We also put together different playlists featuring different genres for different moods. Some of these include the Headbangers playlist (Rock/Metal/Heavy), Beatz (Rap/Electronic) and the Jams (Folk/Reggae/Pop). You can view a full playlist of all of the artists included on this page and follow them further. Please do follow and support these emerging artists! Listen to the popout version of the EMERGING TALENT RADIO Here! Listen to the popout version of the BEATZ RADIO Here! Listen to the popout version of the HEADBANGERZ RADIO Here! Listen to the popout version of the JAMS RADIO RADIO Here! Listen to the popout version of the Sarantos RADIO Here! *NEW* Get your spot in our new radio channel. Our new independent channel is now open for more entries but only for a limited time because spots fill up. We keep a max capacity within each of our stations to guarantee adequate playing time. All of our channels are ad-free, mobile friendly, and you can flip through all artists on our playlist with the swipe of a finger! 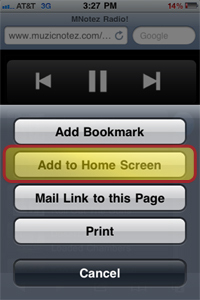 You can add our mobile radio player to your phone through a few easy steps. Then you can listen to commercial free NEW Emerging artists from around the world any time.